Thank you sooo much for namkeen karahi recipe. I always wanted to make it at home. Now my dream of making namkeen karahi at home would come in to reality very soon. I guess every Karhai is Namkeen than why this recipe has such kind of name Namkeen Karhai. Namkeen gosht is just like the afghani gosht which is very easy to make but in my home the way of preparation is little bit difference because I never remain gravy in it and serve with ketchup. Namkeen karahi is also a peshawari dish which many of the pathan peoples like to eat, I also eat in the restaurant when I got visit in peshawar, it was such a tasty dish, I am noting the method. I am surprised what kind of dish name is this Namkeen Karhai because every spicy dish is salty and sour. Is it necessary to use charbi for the preparation of namkeen karahi? Although it is good in the taste but you know doctors says fat is not suitable for the health, I am very concious to make healthy diet. 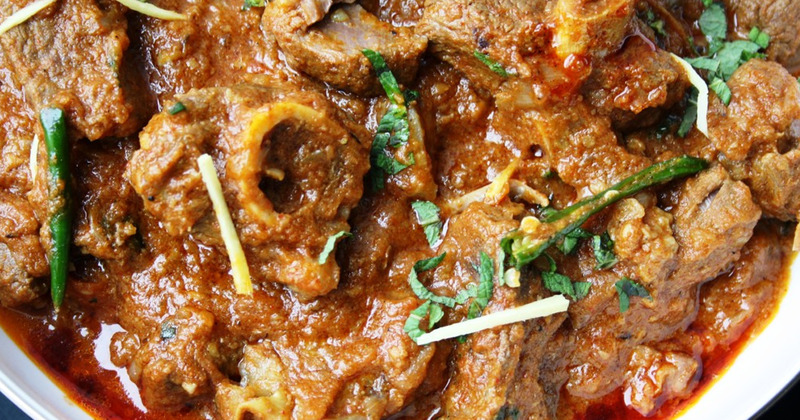 A delicious delight for Desi food lovers, Namkeen Karahi recipe is posted on this page. Feed your taste buds with the simple and easy to make recipe of Namkeen Karahi in Urdu. It is delicious to the core and can be served with Naan or Roti at lunch or dinner. Take a break from your old recipes and try this one for a change.